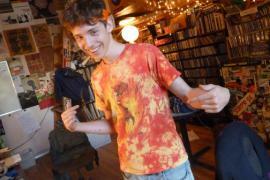 Scores of youth participating in the Katimavik program have passed through Radio CKUT’s doors. Like hundreds of community organizations across the country, CKUT has strong ties to Katimavik. Radio CKUT is a non-profit, campus-community radio station based out of McGill University. CKUT’s mandate is to provide an essential educational and information service to those in the Montreal community whose needs are not met by mainstream commercial radio. The closure of the Katimavik program does not only hurt thousands of Canadian youths, it also negatively impacts community organizations, educational centres, etc. across the nation. Katimavik is a volunteer-service program that gives youth a chance to invest in Canadian communities, and to grow into engaged citizens. Not-for-profit organizations, such as CKUT, benefit from the enthusiasm, energy and hard work of Katimavik volunteers. It is through programs such as Katimavik that we can build a united, diverse, and engaged nation. CKUT is deeply concerned that Harper’s Conservative government has decided to cut funding to a program which offers significant support to vulnerable and marginalized groups with a focus on social services, arts and culture, sports and leisure, and poverty reduction. All of the Katimavik participants who have spent time at CKUT have gained valuable experience – whether it be learning how to host a news show and conduct interviews, providing technical support for a radio program, or doing outreach for a project which focuses on gender and radio technology. Funding for the Katimavik program does not make up a significant part of the government budget yet the total defunding of Katimavik is sure to have detrimental effects across Canada. CKUT hopes to continue benefiting from the Katimavik program, and to continue offering crucial educational and training services for young Canadian volunteers invested in improving their communities and their country. In conclusion, we strongly urge the Conservative government to reconsider the funding cuts to the Katimavik program. A program that focuses on the personal, social and professional development of Canadian youth, as well as exposing them to the regional and cultural diversity of Canada and its two official languages, is one worth investing in. The loss of Katimavik will be a loss for Canada.